Ronald Mesler is a Boise, Idaho financial advisor and Chief Protection Strategist specializing in working with healthcare professionals at We Protect Doctors, LLC. 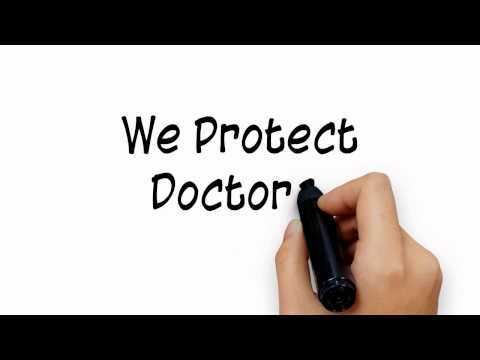 Ronald and his team at We Protect Doctors, LLC are in the business of helping Doctors. They help save money and reduce risk, while helping families protect and preserve their financial future. They provide the nation's most competitive quotes for large term life cases! Ronald and his team are term life brokers, so the nation's top term life insurance carriers compete for their client's business. Ronald's mission is to help doctors in finding the best rates (and best coverage definitions) on disability insurance, as well as helping those that have previously been declined get approved for quality coverage. He specializes in Individual Disability Income Insurance for healthcare professionals. Ronald's focus is on safety and giving his clients a peace-of-mind. He teaches his clients about risk and how to reduce or eliminate types of risk from their retirement plans. Ronald graduated with a B.A. degree from the University of Alaska, Fairbanks (Go Nanooks!). In addition, he earned his Juris Doctor (JD) degree from Thomas M. Cooley Law School in Lansing, Michigan. Ronald is a supporter of multiple organizations such as Reach Out and Read, Unite for Sight, Idaho Humane Society, Wounded Warrior Project, and many more. He is a member of the Financial Planning Association, the Idaho Medical Association, and the Ada County Medical Society. Here are some points to remember as you're choosing where to put your retirement savings. Should I use annuities as a temporary investment? Thanks for the great question! I sense you are a bit conflicted about risk. You characterize yourself as a long-term agressive investor, yet you are putting money into what appears to be a fixed annuity. You may wish to think of annuities more as a savings vehicle rather than an investment. I don't normally use the word annuity and temporary in the same sentence. With a short time horizon some of the high yield money markets such as those offered by Synchrony Bank or Ally Bank may be a better fit, especially if you do not need tax-deferral and a multi-year committment that is usually part of an annuity strategy. Good luck with retirement! I'm new to this. Can I sell or buy stock by myself? You can certainly give the instruction to buy or sell a given stock on your behalf. Share of publicly traded companies are generally traded on exchanges such as the New York Stock Exchange (NYSE). Your cash and any shares you own are generally held by a custodian such as Charles Schwab, Scottrade, TD Ameritrade, etc. ou simply give the instruction to buy or sell to the custodian. Visit one or more of those sites and open a practice account--no real money is needed! Try out the system for yourself. Once you become comfortable and after you do plenty of research, you may want to buy and sell. I hope that helps. Good luck! Really good question! Term is a type of life insurance that provides a potential death benefit for a fixed period or "term." This is commonly a flat premium for say, 5, 10, 15, 20, or 30 years. After the end of the term the policy no longer provides a death benefit. The other common characteristic of term life is there is generally no cash accumulation, which helps keep the cost relatively low. Term is often characterized as temporary insurance. (There is also annual renewable term "ART" where premium increases each year--that is not popular with consumers, and is usually found as part of an employee benefit plan.) I hope that answer helps! Is a progressive tax more fair than a flat tax? Thanks for posing your question to Investopedia! This may really be more of a social or political question than a pure financial question. The key issue you raise is one of "fairness." Over the history of taxation in the United States the concept of a progressive tax has enjoyed broad support. Fundamentally, the more you earn, the more taxes you pay, with the tax rate increasing incrementally as your income increases. However, as the saying goes, "the devil is in the details." At least in the details of the tax code. Pure progressivity can be very simple. However, with a bloated tax code we have lost the simplicity. That seems to be one of the key popularity drivers of a simple flat tax system. Even if adopted, how long would it remain simple? The progressive model may be fairer in theory than a flat tax, but the real fairness, or lack thereof, is how the system is implemented by the tax code. I hope that helps. Best of luck! What is the size of the average retirement nest egg? Thanks for asking this question on Investopedia! The mean or average retirement savings is a bit greater than $95,000. But the real story is that approximately half of Americans have NO retirement savings. The EPI study conclusion states that there is an, "...increasingly inadequate savings and retirement income for successive generations of Americans—and growing disparities by income, race, ethnicity, education, and marital status. Women, who by some measures are narrowing gaps with men, remain much more vulnerable in retirement due to lower lifetime earnings and longer life expectancies." Sobering stuff indeed. Good luck!